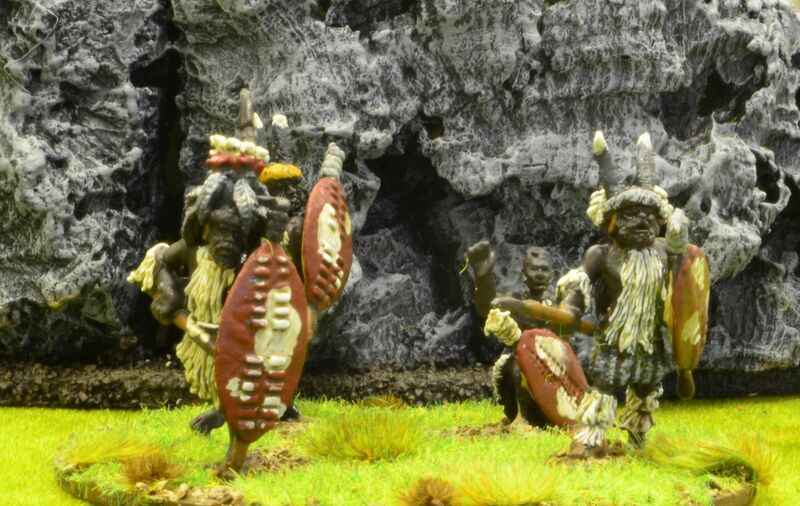 As part of my Zulu Wars project I started listing all the suppliers who produce 28mm ranges for this period. I am sure that this has been done before somewhere else (but I couldn't find it) and if any ranges are missing please let me know. Interesting range but again not seen any figures to comment. I do have some of their SYW range and they are excellent. Cant really comment on this range but have heard good and bad things. I'll be visiting their stand at colours in Newbury this September so will have a better perspective then. I love these guys and have bought Zulus, Brits and Boers from these chaps. Make sure you take advantage of their weekly sales. Prices quoted below are for standard price but the sales typically knock 30% off. Please note that these prices are based on 23/08/16. They are standard prices (eg standard pack of four figures divided by four to give single price). Many of these suppliers offer multi discounts, pack deals etc. Following 2 weeks of idleness in the Portuguese sun I am slowly getting back in the groove. Whilst away Postie delivered a rather interesting parcel. 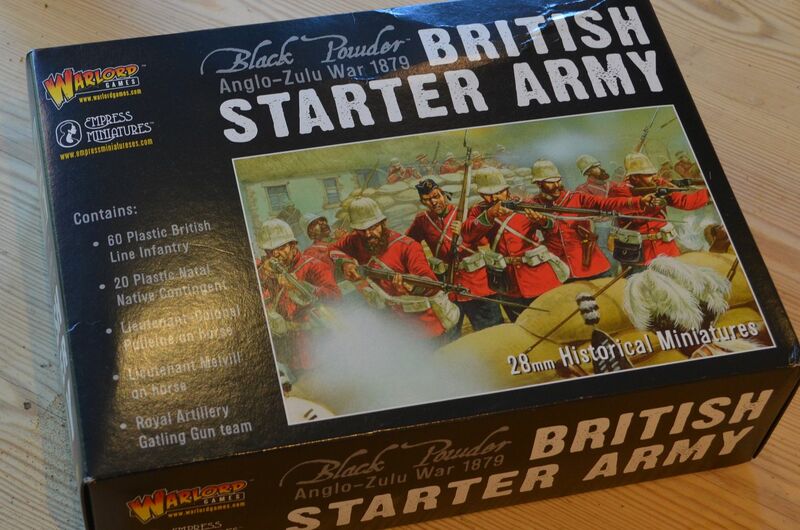 The Warlord Games Plastic Army starter set for the British. I sourced this on ebay for 55 GB pounds ( they sell for 75 pounds on the official site). 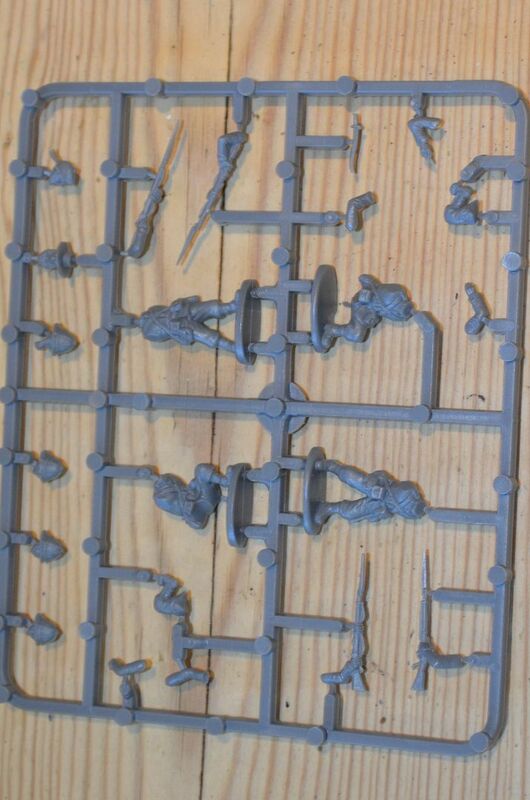 The Natives Sprue is virtually identical to the standard zulu sprues, with the noticeable differences being the heads are adorned with bandanas (to be painted red), and the weapons include a quiver of javelins. 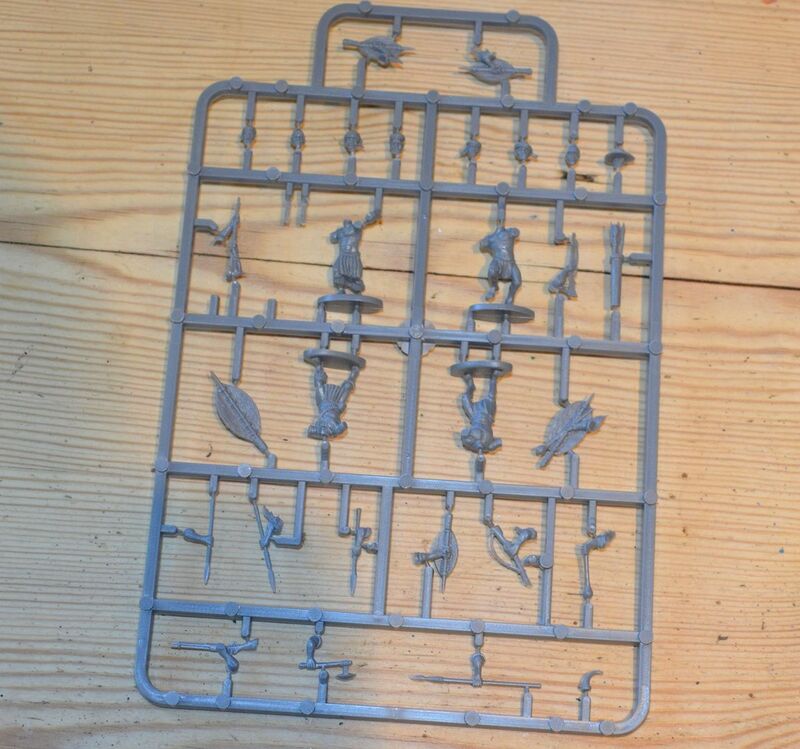 To be blunt I was rather disappointed when I examined the British Infantry sprues - each sprue carries four bodies. Rather annoyingly two of these are kneeling. I do like different poses on my figures but to have half a core set in this pose is just wrong. There appears to be four different rifle positions and a number of head options. So we can deliver some variety. 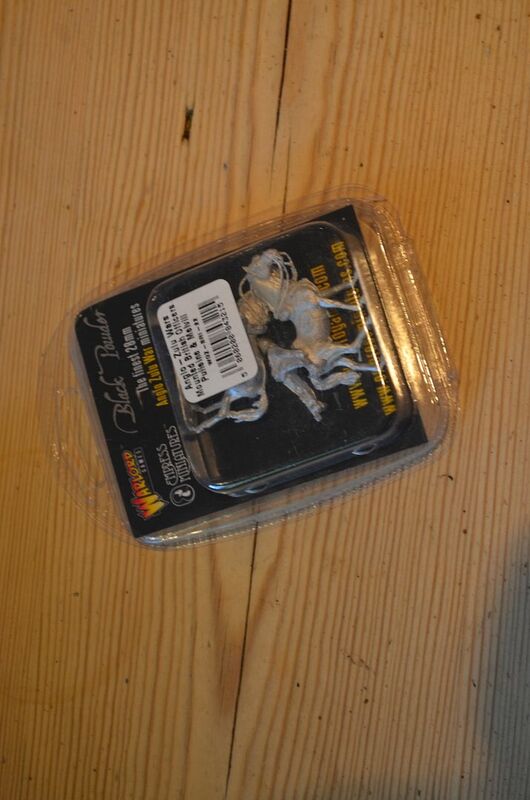 I'll begin assembling the plastics in the coming days and share how these differ to the Black Tree Brits I bought a few weeks back, however a quick examination by eye suggests that these guys might be 1mm taller and a bit chunkier but they will add some variety to the plastic set. Furthermore all the Black Tree ones are standing up ! So in total I have around 100 British Infantry. These will be assembled into 16 figure companies although I'll have some flexibility to reduce/increase these to twelves/sixteens by using a number of 2 x 2 bases. 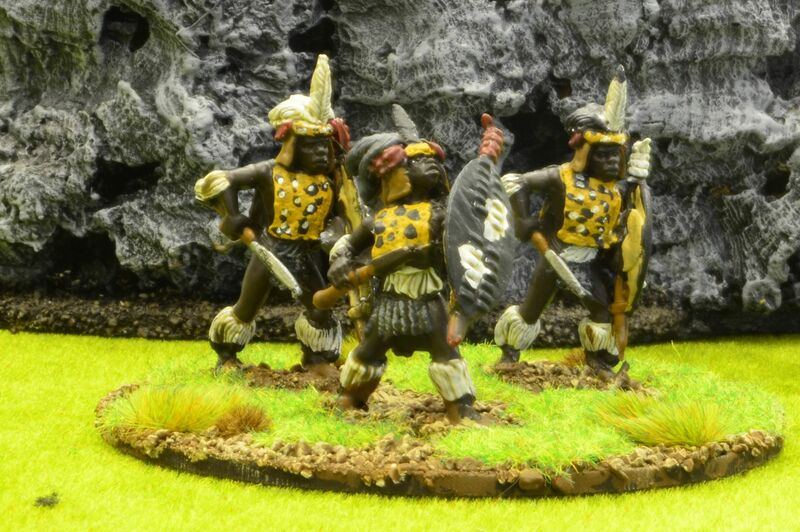 Colonial Wars - Zulu Army Finished ! Its been the best part of six weeks since I started this project and I can now report it is complete ! 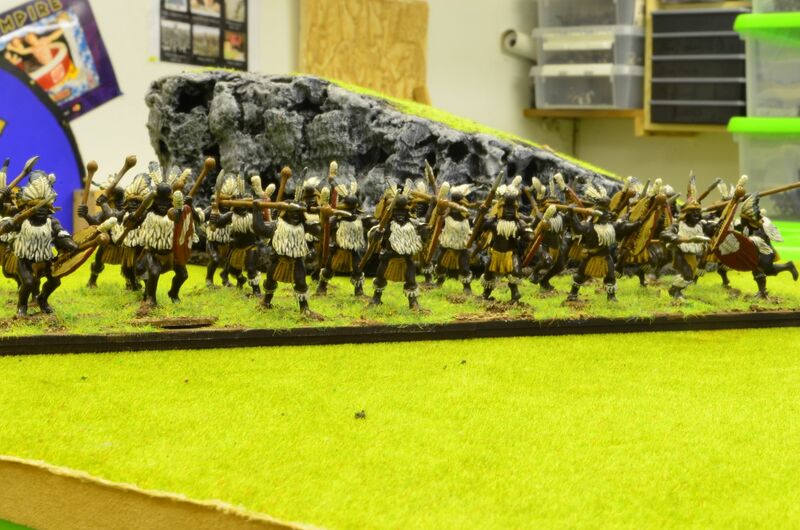 420 Zulus painted, dipped, varnished based and arrayed for battle ! A big thank you to Alastair of a wargaming gallimaufry fame for bringing to my attention this Kickstarter. Having always been fascinated by the Battle of Britain (and don't you just love the movie of the same name) I decided to back this deal. 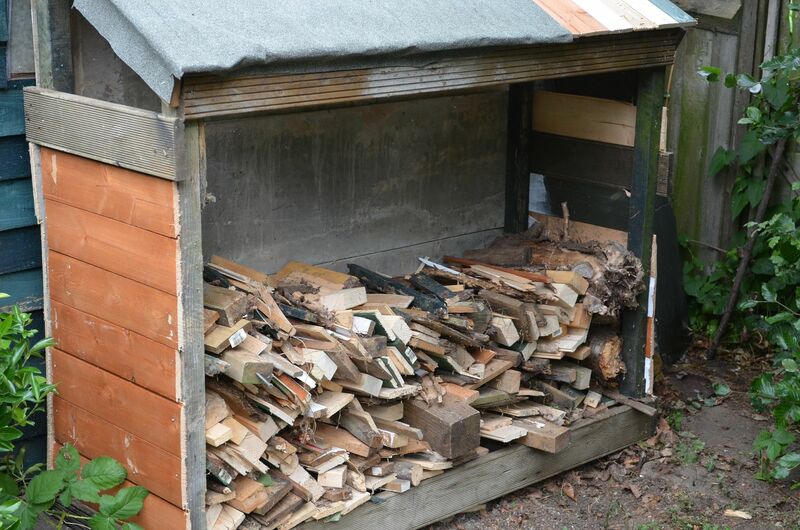 Another busy weekend in the garden and continuing works on the new improved Shed. I think I can safely say that I am getting towards the conclusion of this project which will not only be good for my sanity but also my wallet. So here here goes with a progress report. 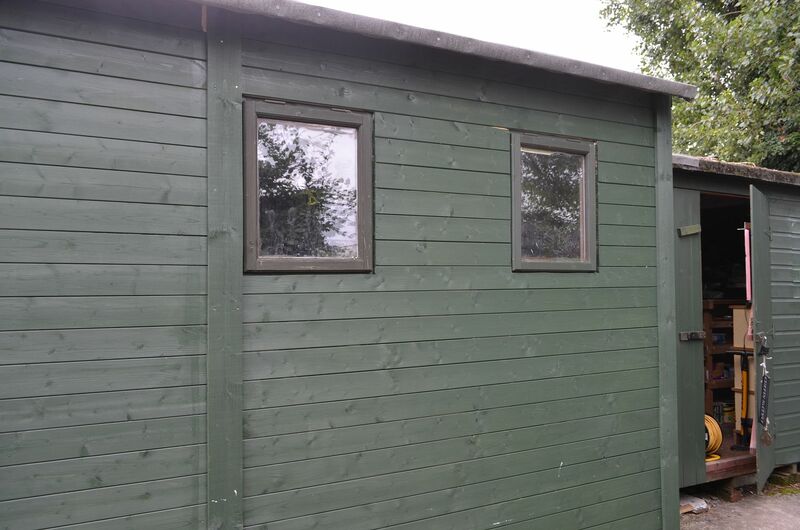 First up I moved the window from the old back wall and cut this into the wall of the new shed. 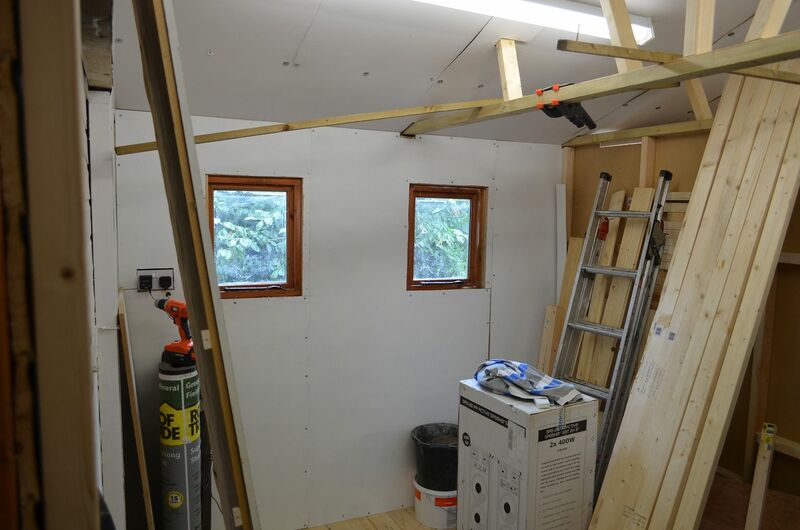 The single window wasn't giving enough light so I removed another from the first extension and put this one as well. The light certainly makes a difference but also ventilation is much improved. 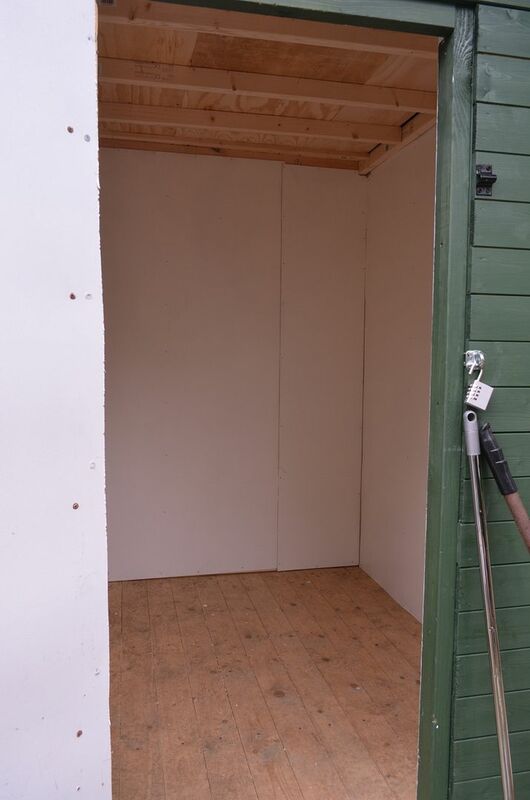 The second job was to finish off the cupboard (Or should I say shed within a shed) for Mrs Shed. Part of the agreement I had with her was to allocate some of this new space to her storage needs. 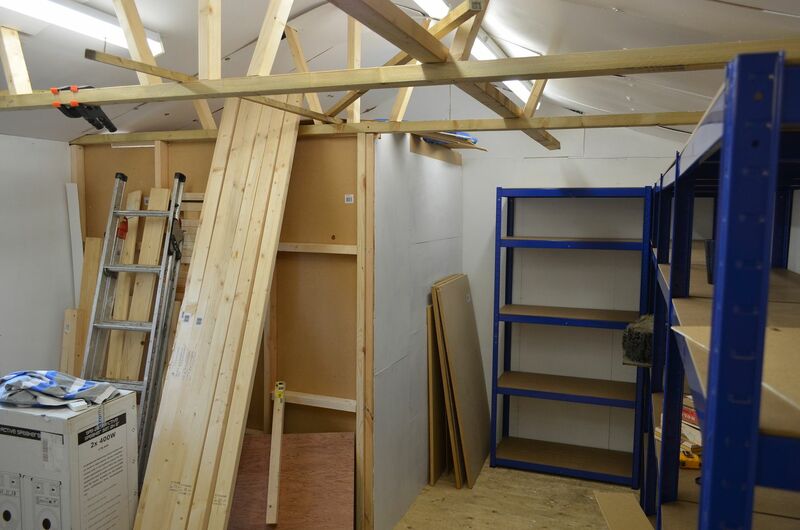 This was all framed out (including internal roof, hardboard lined and painted. She can move in one her racking turns up. Next up was to get all the lights working inside. I had previously installed the florescent tubes but had not wired these in. With some trepidation I finished the circuitry and flicked the switch. They all work. With light inside I was able to assemble the first of the shelving racks that arrived. These are all 90 cm long and 2 metres tall. The box says that each shelf can support 200kg. 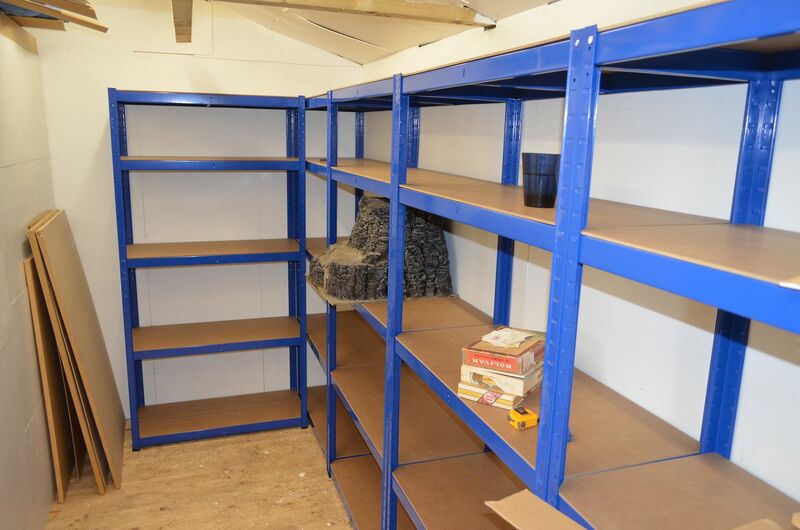 Don't think I have that much lead.I havce some 30cm deep shelves on order which will fit neatly in the space on the left. 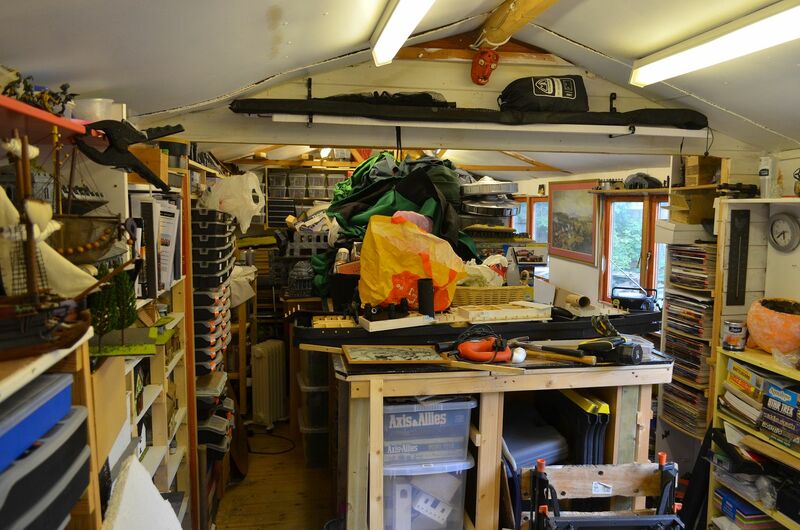 The next job is to build my workbench in here. See below. Easter Means It's... Dino Egg Hunt!